Careful, your sprites might be stolen by Xanman if you post them damn near anywhere. EDIT: Apparently I was unaware of a wave of custom sprite theft going on at the moment. Eegh. @TheHumanSonikku, the reason sonic.exe is up there with the things I don't want this being used with is because it goes with simple edits. A lot of the time, people just take sprites, make his eyes black and make his pupils red. and make some very small edits. 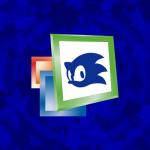 I also don't exactly like sonic.exe as it seems pretty generic and lazy. @TroopTroops, sure go ahead but perhaps be more elaborate instead of just saying it's for a fan-game. I'm not being rude, just curious. But why the EXE rule specifically? May i use this for my game? @Techokami, you might be misunderstanding. Permission is only required for things like fan-games, rom-hacks, mods, and things of that such. Other than those things, these sprites are free to use, with the exception of what's listed on 1. of the conditions. I am confused. Free to use means I can just... use them and give credit to the creator, no need for permission. 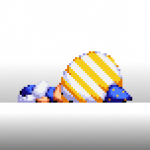 @TheGoku7729: I think it's supposed to represent drama, hence Sonic holding popcorn. 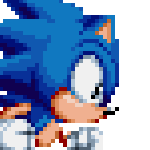 Can i use these sprites for a Sonic Mania mod? i would like to make a skin mod with these sprites. @TwoTailedHedgehog, you can do that. I must ask what mania mod it'll be for, tho. Can I use these for a Sonic Mania Mod? These look really good! I really like his overall design. Kind of reminds me of a mix between Toei and regular classic sonic.